The line-up for this year’s Diageo Special Releases has been completed with the addition of Collectivum XXVIII – a blended malt whisky featuring liquid from all 28 of the company’s active single malt distilleries. Collectivum XXVIII is the first blended malt to feature in the annual collection of limited release whiskies, and the fourth no age statement (NAS) bottling in the series, which began in 2001. It also marks the first time that Diageo has released a blended malt containing whiskies from all 28 of its active single malt distilleries. Bottled at 57.3% abv, Collectivum XXVIII was matured in a combination of refill American oak hogsheads, refill European oak butts, ex-bodega European oak and first-fill Bourbon casks. Diageo said ‘limited quantities’ of the blended malt would be available worldwide, but did not reveal its price. However, the company said the collection of 10 whiskies would range in price from £90 for Lagavulin 12 Year Old to £2,625 for Port Ellen 37 Year Old. 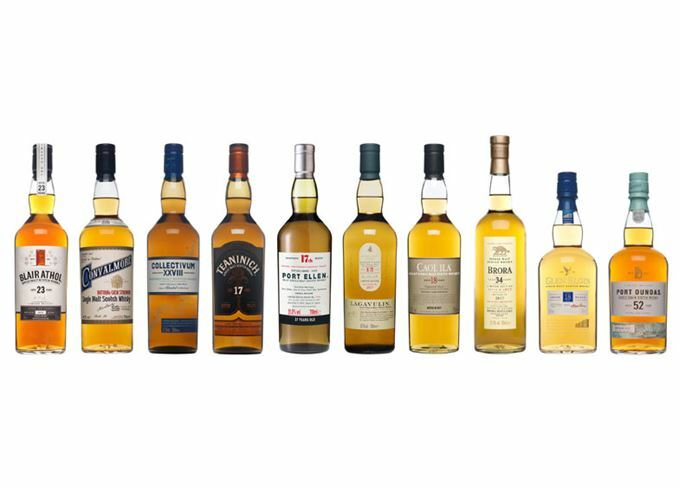 The rest of this year’s Special Releases line-up was revealed in April – several months earlier than usual and a reflection of the fact that Diageo struggles to keep details of the bottlings secret in the run-up to their autumn launch. Apart from Collectivum XXVIII, this year’s group includes annual expressions from closed distilleries Port Ellen and Brora, plus two other ‘regulars’ – a Lagavulin 12-year-old and an unpeated Caol Ila. There is also a Port Dundas 52-year-old single grain – the oldest whisky yet to feature in the Special Releases – and another single malt from a ‘lost’ distillery, Convalmore. Some rarely-bottled single malts feature, such as a 23-year-old Blair Athol, an 18-year-old Glen Elgin and – in its bicentenary year – a 17-year-old Teaninich. ‘The Special Releases range is always a highlight in our calendar year,’ said Dr Nick Morgan, head of whisky outreach at Diageo. ‘It reflects the truly extraordinary range of stocks our blenders have available to them.